It's been 2 days since Whitney had surgery for osteochondritis dissecans of the capitellum (OCD in her right elbow). Per her doctor's orders, it's time to change her bandages. 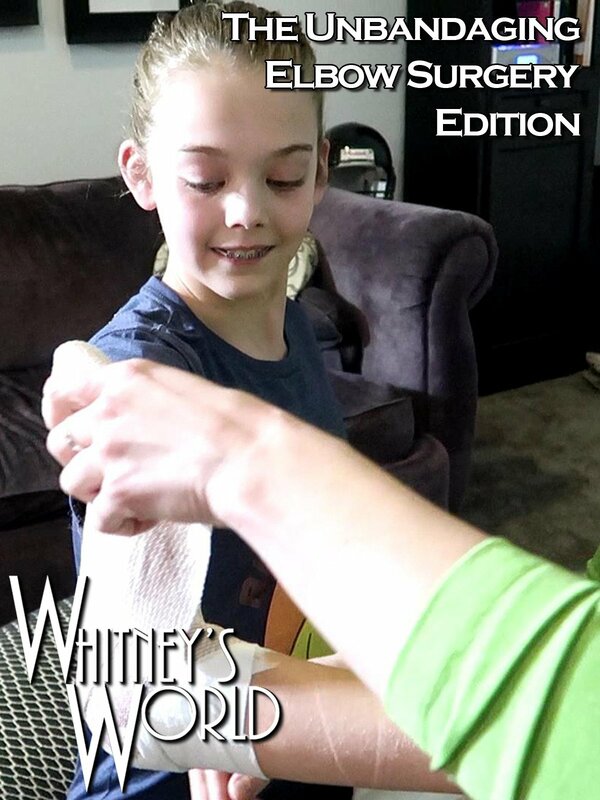 Whitney's physical therapist, Lauren, came over perform the "unbandaging".